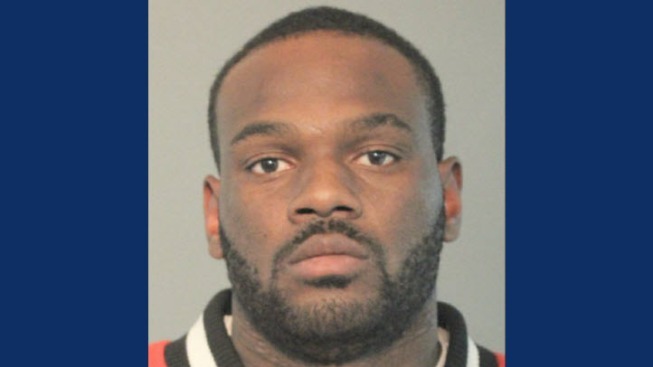 A Vallejo man was arrested on suspicion of crimes including hit-and-run resulting in great bodily injury after he allegedly hit a pedestrian in Vallejo during a pursuit Saturday, police said. Jamal Kemp, 31, was arrested on suspicion of crimes including obstructing a police officer, assault with a deadly weapon and felon in possession of a firearm, according to police. Around 2:30 p.m., Deputy Sheriff Walt Walker attempted to make a traffic enforcement stop on a black Mercedes-Benz that allegedly ran a stop sign at the intersection of Lincoln Road East and Steffan Street. The driver sped onto northbound Interstate Highway 80, and the deputy gave chase, police said. With Walker in pursuit, the suspect drove on the right-hand shoulder, weaving in and out of traffic, according to police. The suspect got off the freeway and back into Vallejo, running a stop sign at the intersection of Tennessee Street and Admiral Callaghan Lane, police said. As the suspect zoomed down Tennessee Street westbound at around 60 mph, he hit a man who was crossing the street at Tennessee and Tuolumne, according to police. The impact threw the pedestrian, 56-year-old Michael Nelson of Vallejo, some 25 yards, police said. Weaving in and out of traffic, the suspect hit two vehicles, a Nissan Altima and a Ford F-350, according to police. All three vehicles spun out and were left inoperable, police said. The suspect jumped out of the Mercedes and fled, tossing away a handgun as he ran, according to police. Officers found the suspect hiding in an alleyway about a block from where the traffic collision happened, police said. The suspect was taken to the hospital, where he was treated for injuries that happened during the crash and then released. He was arrested on suspicion of a number of crimes. Police said investigation revealed that the suspect is on parole in California. The incident remains under investigation and anyone with information is asked to contact Detective Andrew Hendrix at (707) 421-7090.